As a pharmaceutical company focused on acquiring, developing and commercializing drug candidates for diseases where there is a high unmet medical need, we aggressively pursue much-needed medicine and healthcare solutions. 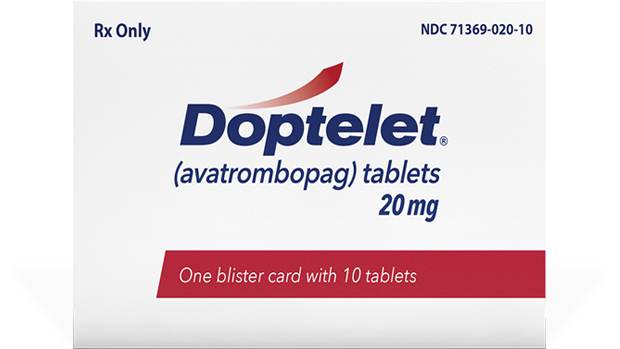 This work began with the development of DOPTELET®, which is approved by the U.S. Food & Drug Administration (FDA). We are seeking similar regulatory approval in Europe. At Dova, we employ a value-driven approach in building a pipeline of drug candidates. We aim to create groundbreaking pharmaceutical solutions with purpose, seeking out drugs built to address health challenges that remain unmet. We’re able to do all of this with a nimble approach thanks to our passionate Leadership Team, which was built to outsmart the conventional way of doing things. Every day, Dova is pushing the limits of life and science. We may not be big pharma — a distinction we embrace — but we create big impacts.